What would God see in your heart? See more Week 7 Scripture & a Snapshots. This is awesome.....love it! Love this scripture! 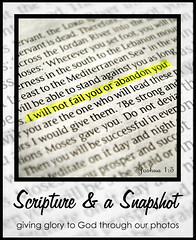 What a creative photo to go with the scripture and a nice reminder. Great photo to go with that Scripture! Great photo and verse combo, Marsha! I hope you have a blessed week! I'm amazed with your creativity, Marsha - wonderful shot and good reminder on perspective! I love this! I personally find it refreshing to know that God will judge our hearts and not merely our outward appearance of good deeds and actions. Wow! 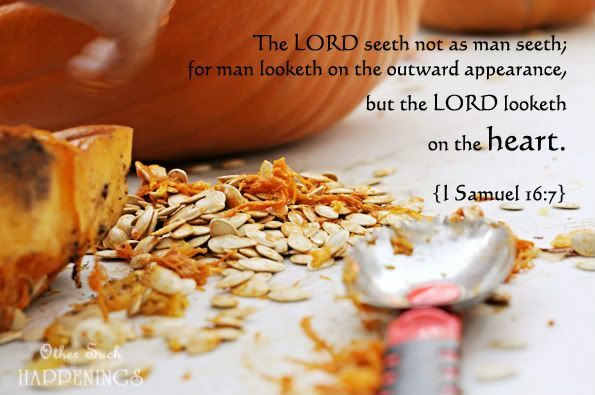 Love the picture and that verse :) What a reminder to remember to focus not just on the outside but also on the inside. I pray that when people look at me they wouldn't see me but only the Lord Jesus Christ shining through me. Oh Marsha. Thank you for reminding me of this very, very important truth. What is in my heart. It is far more important than anything else. What a great perspective with a great verse!